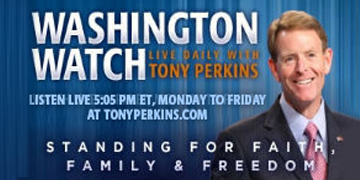 On Wednesday's edition of "Washington Watch with Tony Perkins," House Majority Whip, Rep. Steve Scalise (R-La. ), joins Tony to discuss the GOP's plans moving forward as Congress comes back from their August recess next week. Louisiana attorney who represented the state in the Robicheaux case, Mike Johnson, is here to spotlight the victory for natural marriage and the state's constitutional right to define marriage as between one man and one woman. Also, Senior Pastor of First Baptist Church of Moreland, Ga. and Watchmen on the Wall pastor, Daniel Ausbun, joins Tony to tell his story about YouTube censoring his recent sermon where he spoke out regarding the ISIS terror group in Iraq.